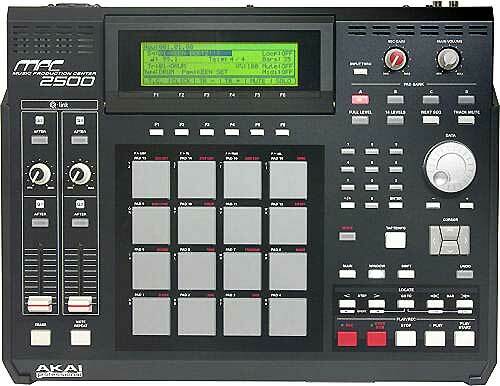 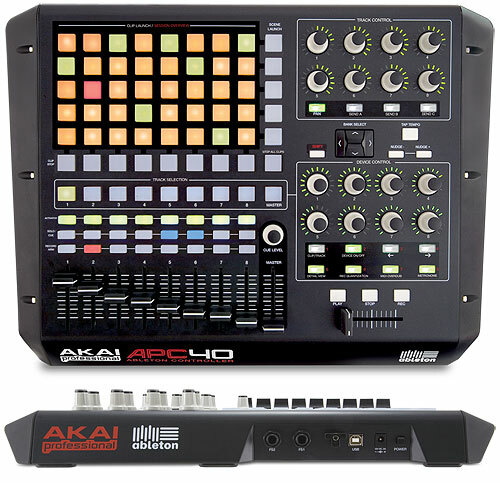 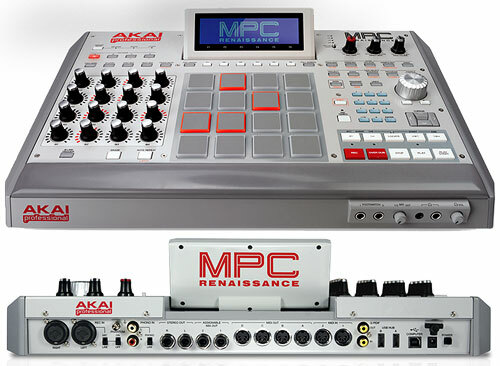 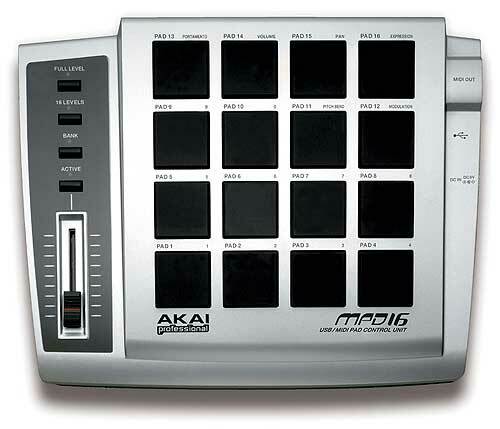 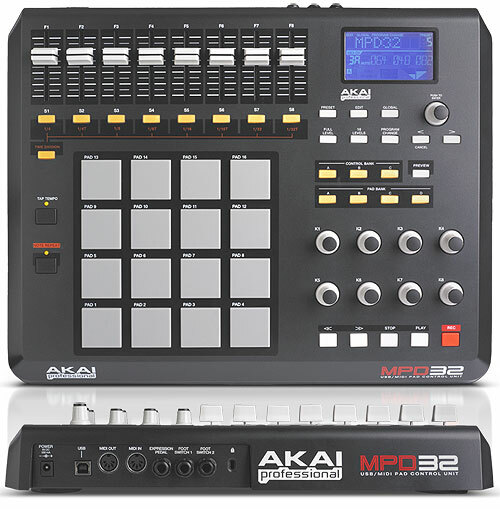 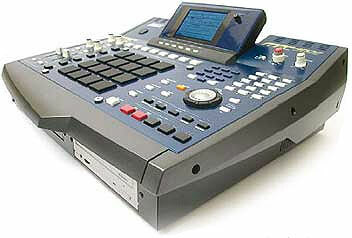 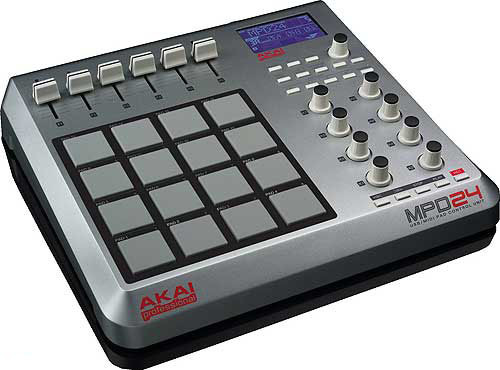 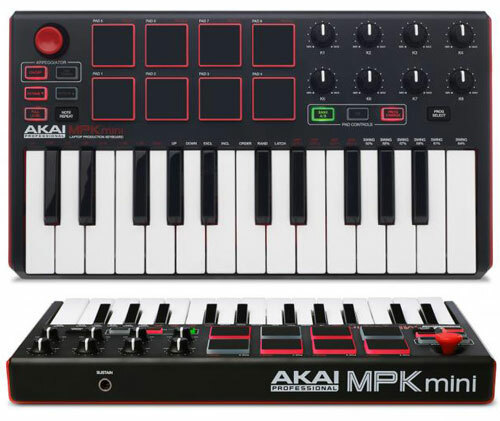 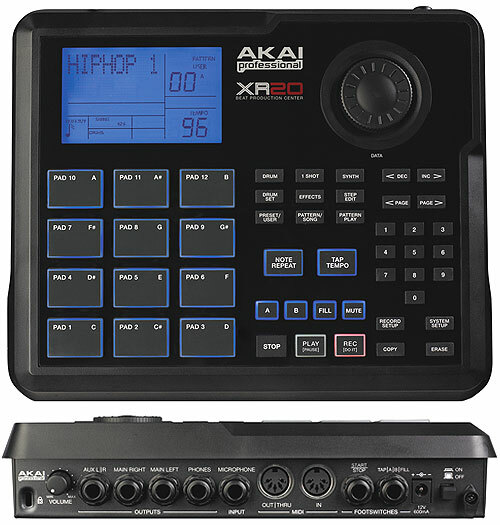 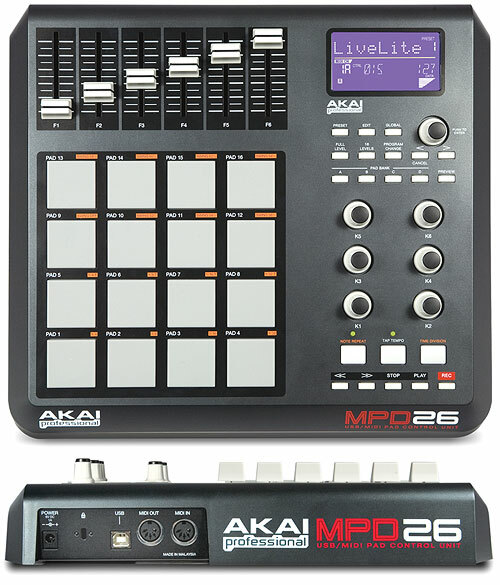 AKAI MPC 2500 MIDI Production Workstation, 32-voice polyphony, 16MB built in RAM (expandable up to 128MB RAM). 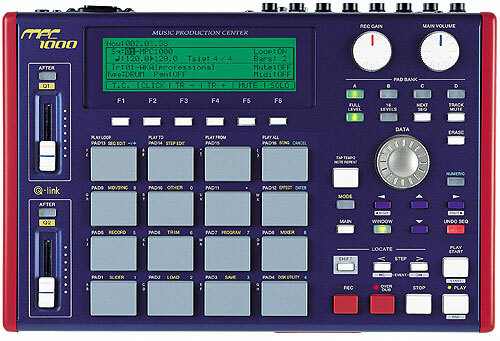 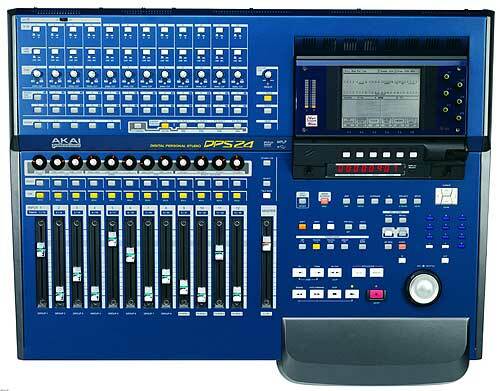 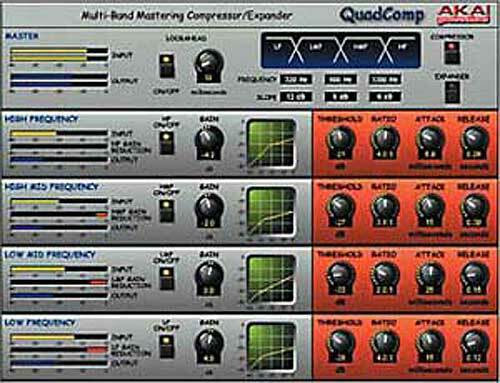 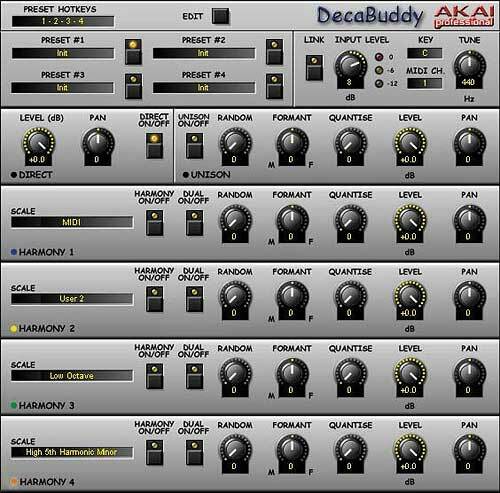 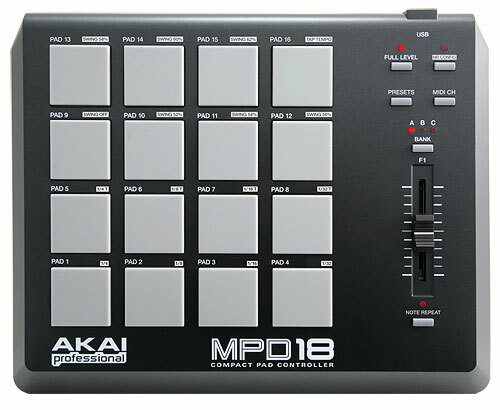 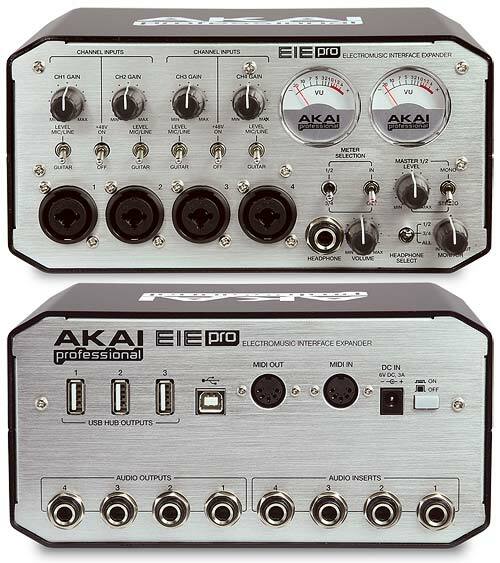 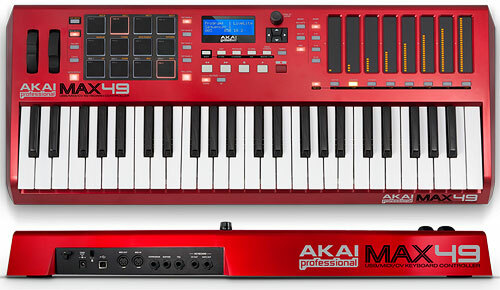 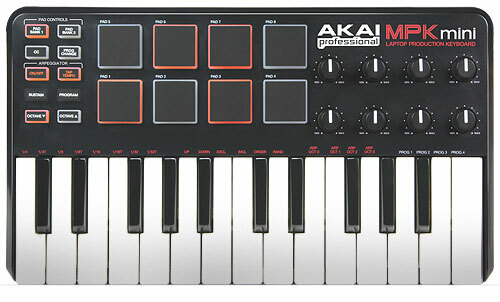 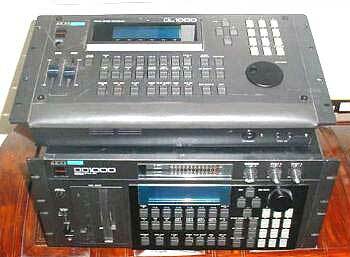 64 MIDI-channels, 16 dynamic Pads, 4 Pad Banks, 2 integrated effectprocessors and a Main Out effectprocessor, 2 assignable Q-Link faders und knobs for real time control, optional Cd-Drive and optionale harddrive, USB port for computer connection, data transfer and backup on the computer and wav file import, Chop-Shop –Loop-Slicing in single samples whith automatic pad assign, Extensive sample editing that includes cut and paste, timestretch, slice, resampling etc, with waveform Display, discard, extract, delete, silence, normalize, reverse, and pitch-shift, Pad Sample Edit (Pitch Shift and Time Stretch), professional on-board sounds, 240 x 64 dot graphic LCD w/back light, 10 build in analog outputs plus Stereo Digital I/O, 4 Q-Link Controller (2 faders and 2 knobs), S/PDIF koaxial I/O, Compact Flash Card Type I or II up to 2GB, dimensions: 415mm x 93,5mm x 334mm, options: EXM128: RAM Expansion Board and CD-M25 CD Drive. 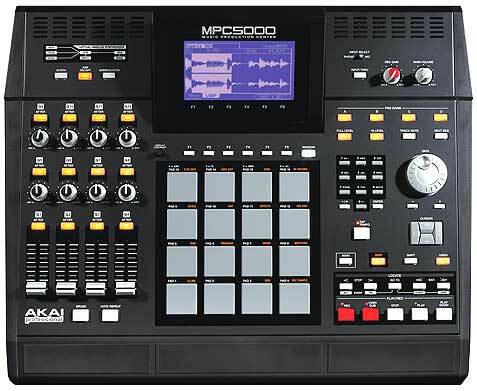 Having used the MPC 2000 for 10 years i was looking forward to upgrading to the 2500. 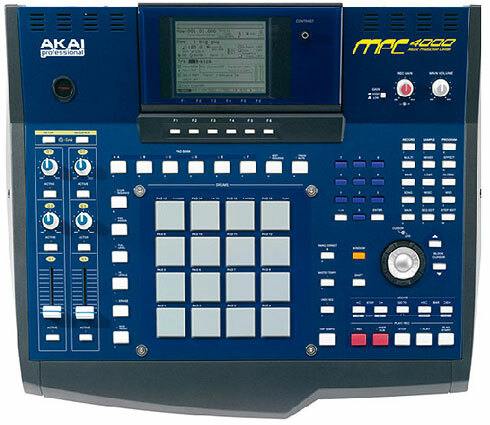 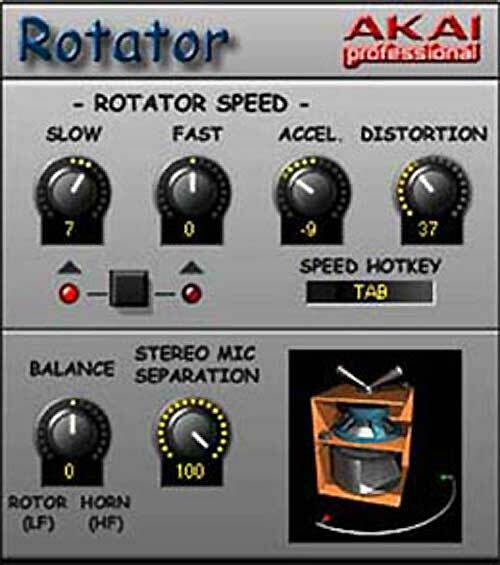 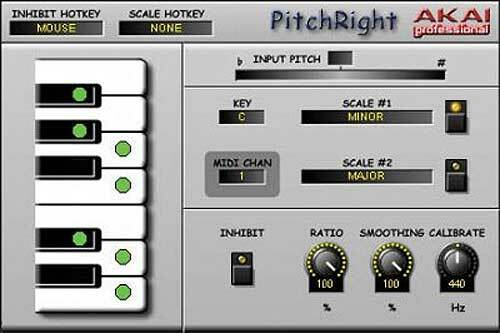 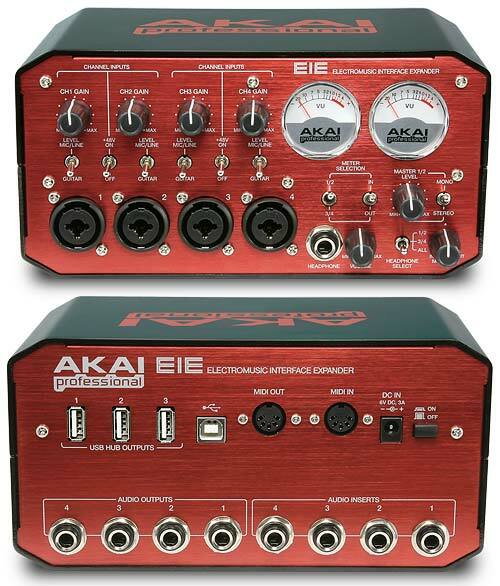 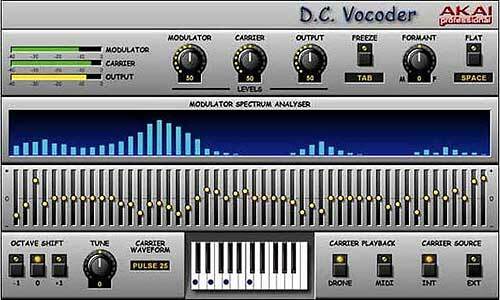 However all is not as it seems with this machine regardless what users on the MPC forums say. 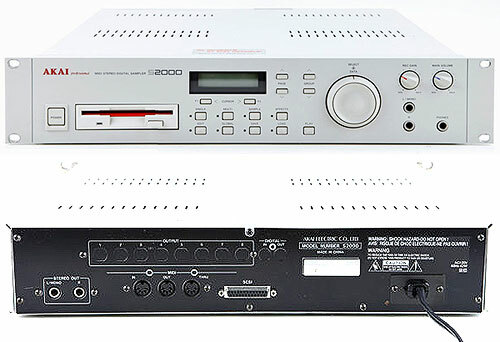 I have came across a few anoying problems with the 2500 that never happenend with the 2000. 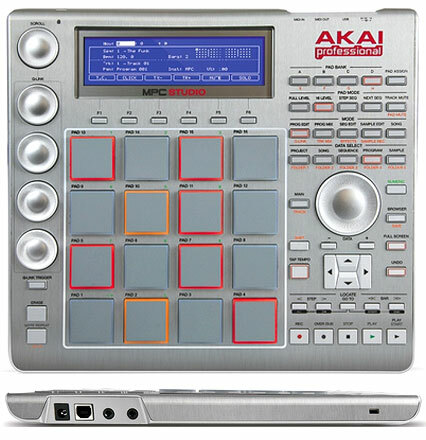 The first problem is that when copying bars etc, the copied bars more often than not have events missing? 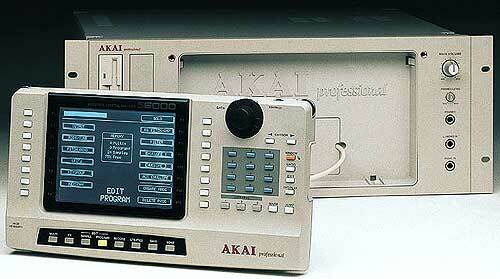 The data wheel on the 2500 is utter garbage compared to the one on the old 2000. 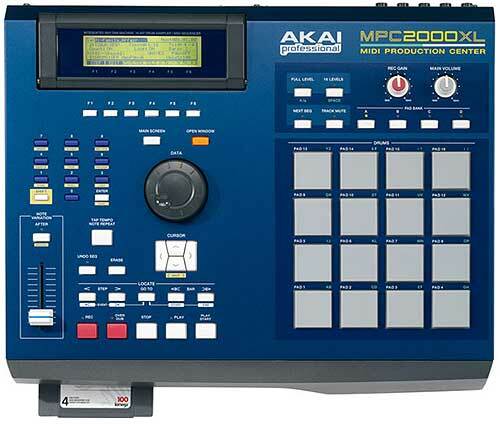 When editing sample start and end points, on the 2000 you could use the outer dial to bring the increments down one at a time.You cant do this on the 2500, which results in endless data wheel twiddling or entering the number values by hand. 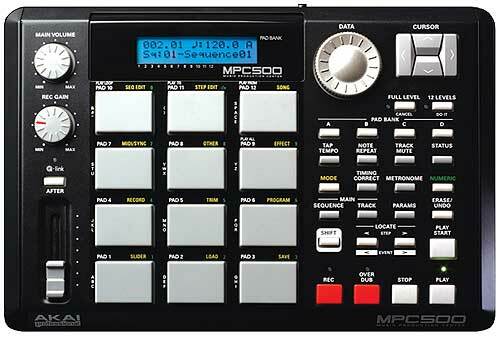 Overall the 2500 seems a good machine but it dosent fill you with confidence when the bugs start to appear (and they will !!). 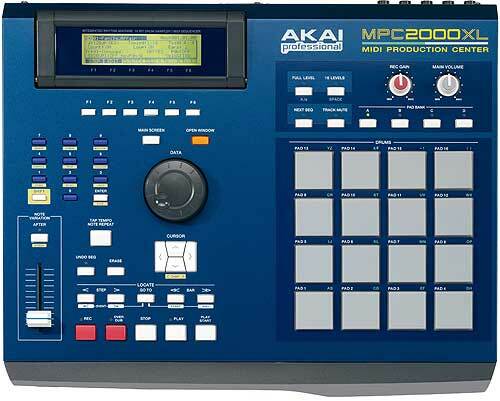 I for one wish i'd never sold my 2000, and i'll be searching ebay for another one and get shot of the 2500.